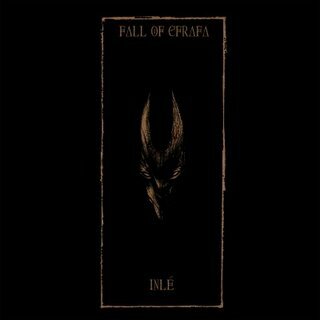 Fall of Efrafa proves further that there is still a great deal of inventiveness in existence within the underground music scene by basing the entire concept (from band name, to topical song material, to artwork) around a singular work of literature by exploring the themes and moods and the mythology within Watership Down. Inle is the final installment in a trilogy of albums by this U.K. act and impressively lives up to its moniker (in Watership Down the black rabbit of Inle is the Grim Reaper of the world in the book) by bringing an end to the cycle for the band. 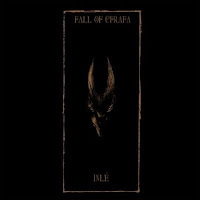 Fall of Efrafa demonstrates an exceptional skill with manipulating soft to loud and loud to soft dynamics while at the same time imbuing their music with a spatial depth that mixes harsh distortion with pleasant melodies. Coarse vocals contrast with music well and adds another element to the band's overall sound. Still, the one aspect of Fall of Efrafa that is most impressive on Inle is the exceptional compositional quality of their songs; the songs flow well and do not wear at all, even with some tracks that easily break the fifteen minute mark, possibly due to the music having a narrative quality itself, like it is speaking to the listener. The tension builds and falls only to start the process all over again as the songs roll in a wholly natural and organic manner that is evident from the very beginning with “Simulacrum,” and while the band somehow marries the different musical motifs (imagine if Neurosis got together with Godspeed You! Black Emperor and created a kind of amalgam of their unmistakable styles) to create their sound. Powerful sounding guitars and percussion combine with impassioned vocals and excellent song composition to provide an engaging and oft times exciting listen, and without a single weak track to be found on Inle, the album captures one's imagination. I truly am taken aback by Inle from Fall of Efrafa, due in no small part to its breadth and scope. The whole album is impressive with little detail, if any, left out of the release from the music from the composition to the overall sound to the lyrical narrative to the packaging. The best way to experience Inle is to sit with the record on the turntable and the stereo turned up loud enough to force out any type of interruption; have the lyric sheet out so that you might follow along with the story, and just absorb the entire atmosphere that emanates around you while you listen.